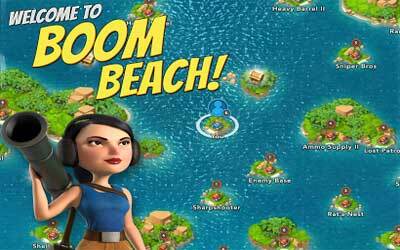 Boom Beach APK has been updated to the latest version 33.110. Game strategy is one of the most popular game genres ever. Its popularity looks so clear from its existence. Even it has been adopted by many game developers. Tons of popular strategy games are coming for the various platforms including Android smartphone. And if you are looking for something different, challenging and fun, try this game. Boom Beach is a strategy game by Supercell. Just like the other strategy games, you have to beat your enemies with strategy. Fight the evil Blackguard and win the game. This is an epic game that will bring the games into the new gaming experience of strategy genre. In the game, you need to attack the enemy bases and free enslaved islanders. By completing the missions, you will be able to unlock the secret of the island, the secret of the tropical paradise. Happy Beachmas! Player bases are now coated in snow, and a Beachmas Tree is available for all Commanders who log in throughout the holiday period. Prototroops! New experimental tank blueprints are now available from the Trader. Added more Blackguard Basebuilder Bases into the Archipelago.